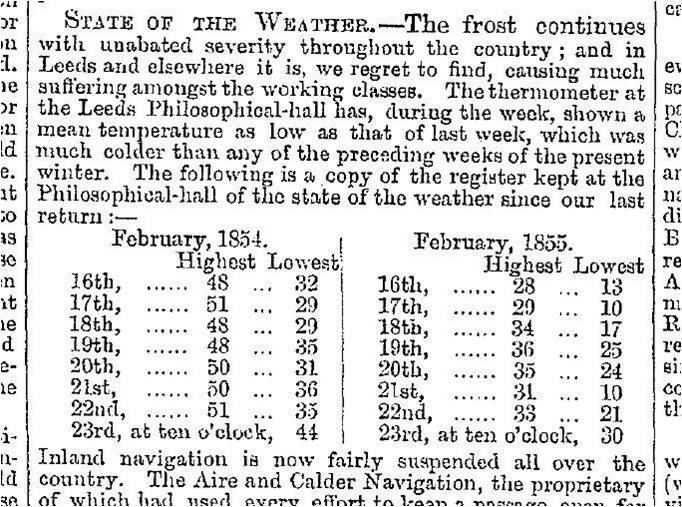 From the Leeds Mercury, February 24th, 1855. 10°F, the coldest reading reported there, would equate to a frostbite-inducing -12°C! 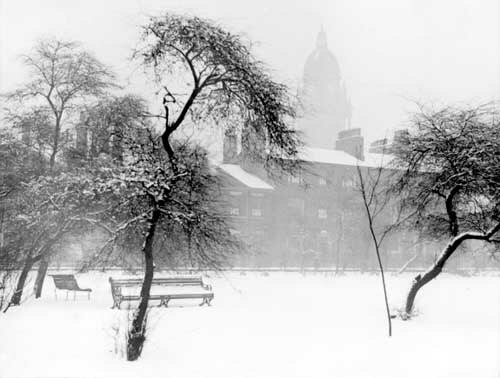 A snowy Park Square in 1922 with Leeds Town Hall visible in the background. 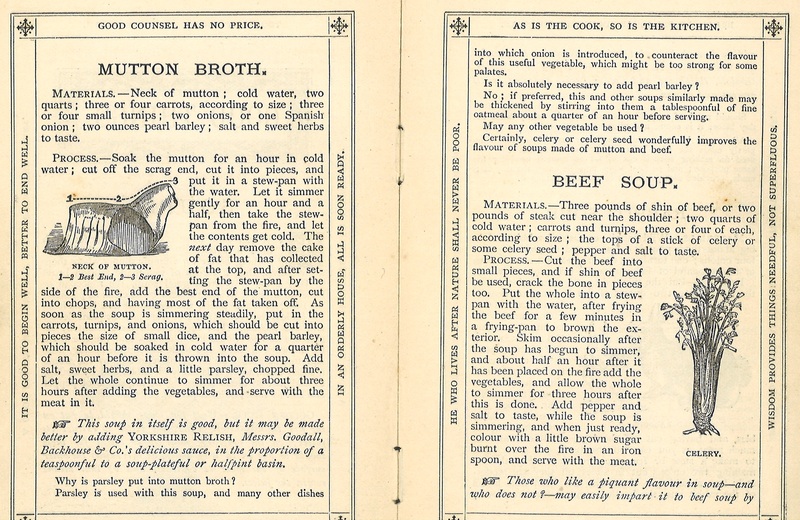 Dinners across the district were disrupted by a deafening boom as a boiler belonging to the Longley family exploded, smashing through the kitchen wall and into the yard outside, where it also demolished a neighbouring wall. 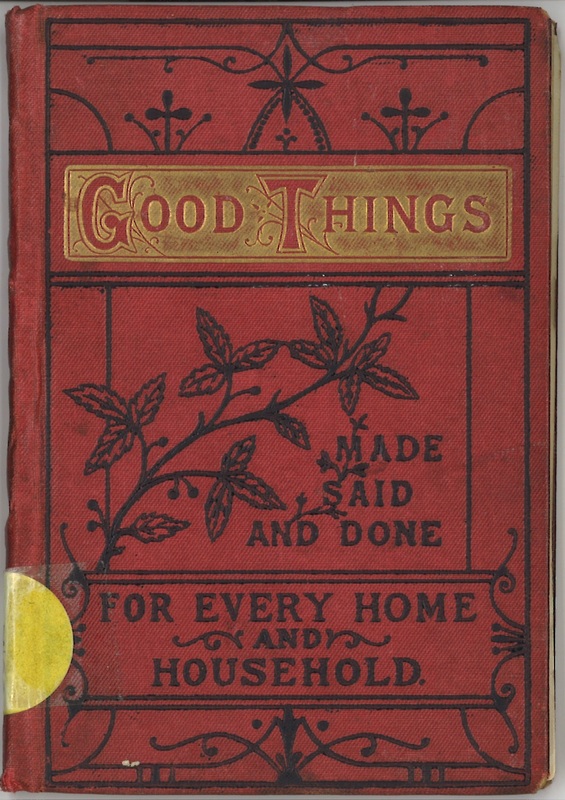 Mrs Longley, who had been preparing dinner, was struck and killed instantly, while the rest of the family, together with a servant girl from Kippax, were seriously injured by fire and rubble. 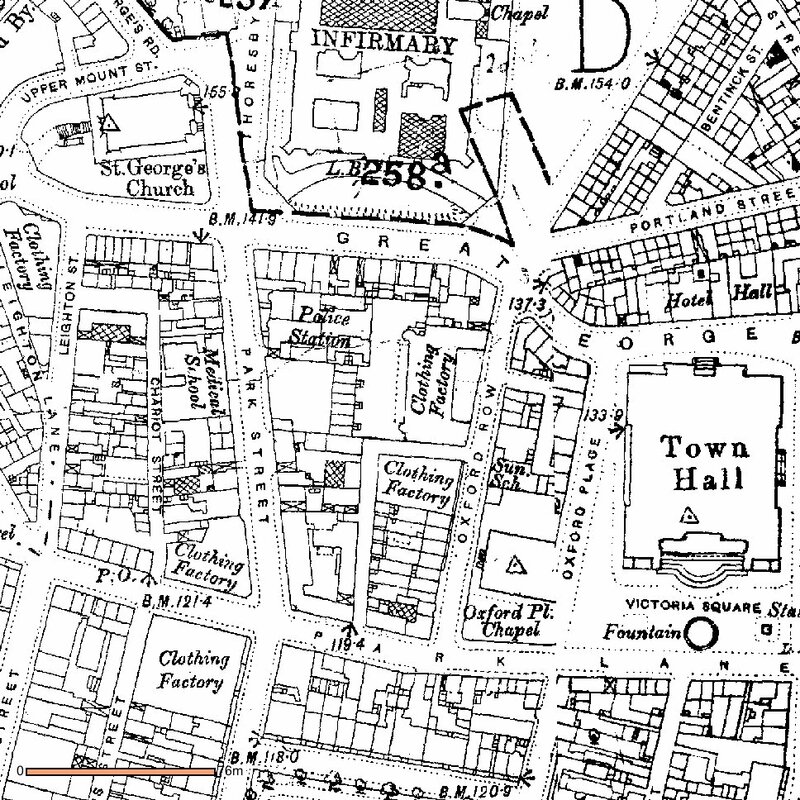 It was speculated by the newspaper that Mr Longley, a builder, had been aware of the potential danger and was keeping an eye on the boiler… For what other reason would he have been anywhere near the house’s kitchen? 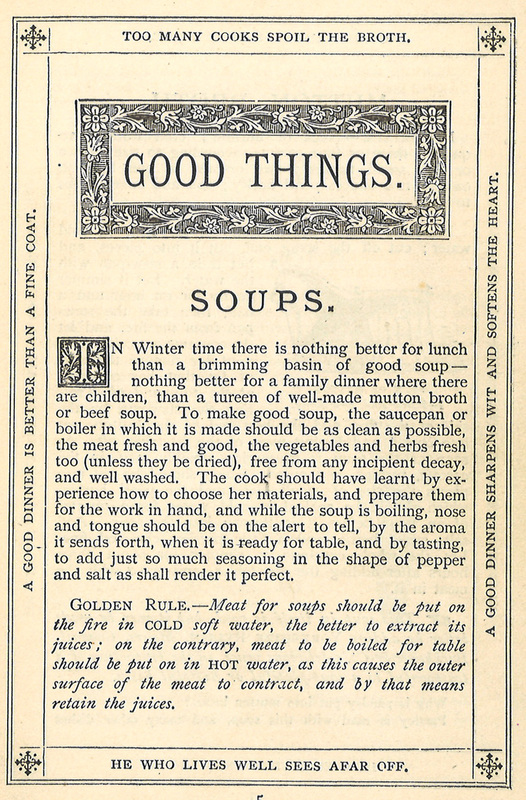 Speaking of soup, I’ll leave you with some advice and a couple of recipes from Good Things Made, Said and Done, published in Leeds by Goodall, Backhouse & Co. in 1893 (shelf mark L 641.5 GOO). 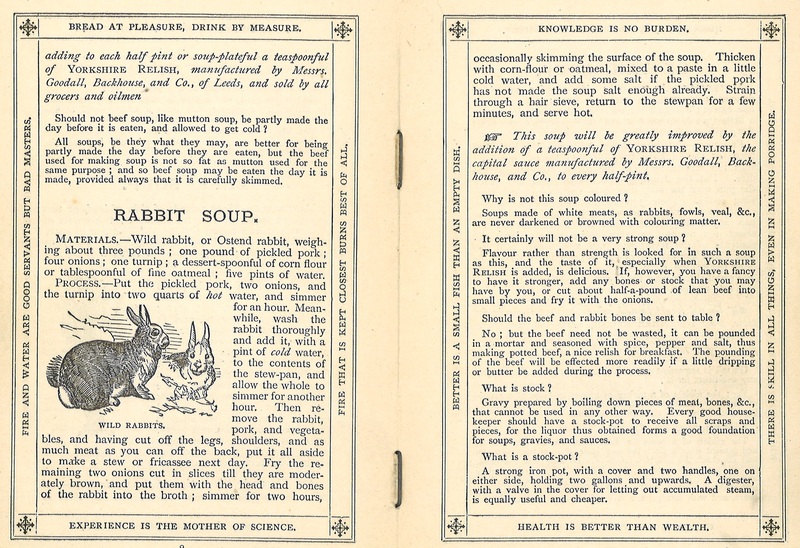 Have a great Christmas – and keep warm!